Perhaps you’ve been there? There being your house, when you’re home with your child and things have gone terribly, unnervingly quiet?! Experts suggest this is an excellent indicator that when you round the corner, and clap eyes on your child, disaster may be unfolding! Here’s a bunch of very cheeky times Babyology readers sprung their kids making mischief. Let it snow! Let it snow! Oh no! 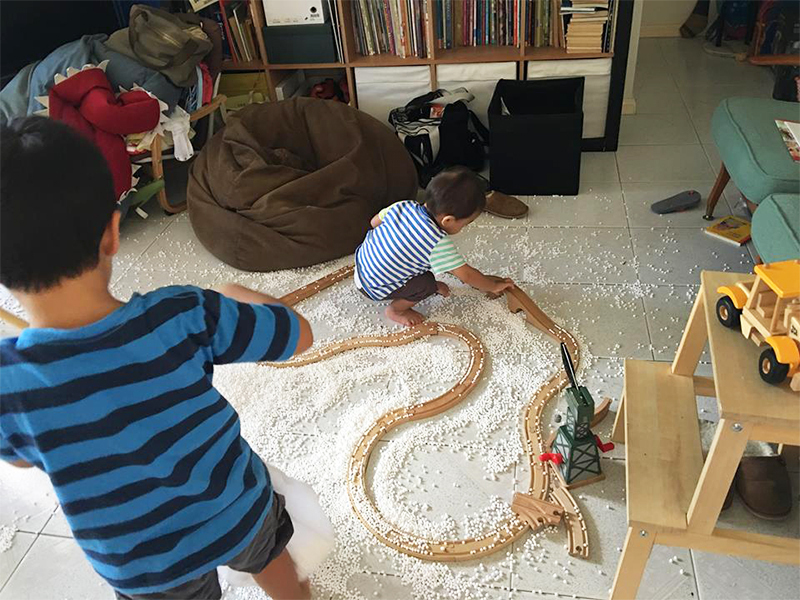 "Cheeky munchkins decided it would be fun to make it snow. It was very sweet watching the creative play. Then reality hit and the realisation that I would be the one cleaning up styrofoam!"